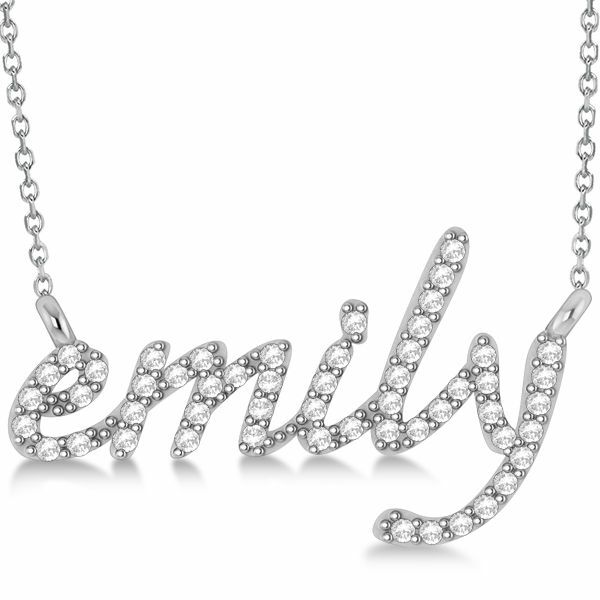 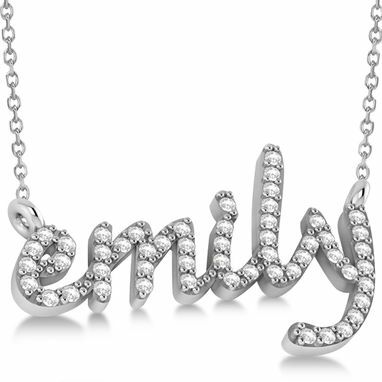 Put the spotlight on any name with this diamond accented, personalized name pendant necklace. Crafted of 14k gold this unique name necklace is crafted out of lower case script font letters, filled with conflict free diamond accents. Choose this lovely gold name pendant for anyone on your gift giving list. Available with your choice of a matching 16 or 18 inch gold chain.